(i) Mr. Vishwavijay Singh, Mrs. Purba Kalita, and Mr. Anand Varani have identified a market gap, wherein people migrating within Indian and abroad and goods representing their culture were mostly in short supply. After studying migration trends among Indian citizens, they observed that most people moved to fast-growing cities like Ahmedabad, Bangalore, Chennai, Delhi,Kolkata, and Mumbai – either due to employment opportunities, education, or marriage. The data on migration in the 2011 Census also revealed that 2 out of every 5 Indians are migrants, which makes for a whopping 40% Diaspora population. (ii) So they quickly see this as an opportunity and to cater this, the E-commerce business was launched on 15th September 2015 under the brand of Salebhai Internet. 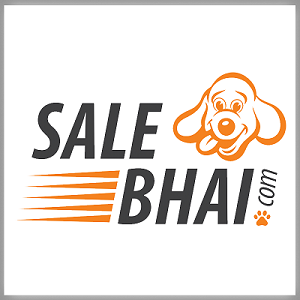 (iii) Salebhai.com is an Indian e-commerce portal that enables people living away from home order a range of specialties directly from their hometowns. It is also a one-stop solution for those who want to discover regional products from across India. People can pick from a wide variety of delicious consumable items like Sweets, Namkeen, Chocolates, Bakery, Spices, Dry fruits, Beverages, and Pickles. Salebhai also offers other products such as Handicrafts, Paintings, Puja items, Handloom goods, and Herbal & Wellness items. (iv) As on date they have 8500 products sourced from over 100 cities and 300 select vendors, the company provides people with an opportunity to buy products in various categories from sellers across India as well as discover new items from different communities and cultures. Promoters of Salebhai Internet Limited IPO Company are: (i) Mr. Vishwavijay Singh, aged 41 years is the Managing Director & Chief Executive Officer of the Company. He has completed his Master of Business Administration (MBA) from the University of Gujarat. He has 19 years of post qualification experience in sales & marketing in companies such as Airtel, Nerolac & ICICI Lombard. He was part of the retail team at ICICI Lombard (as Vice President motor business) which grew from $10m to $400m in six years. (ii) Mr. Anandprakash Varani, aged 49 years is the Executive Director & Chief Financial Officer of the Company. He is one of the promoters and Co-founder of the Company. He has completed Postgraduate Diploma in Business Management (PGDM) from Nirma Institute of Management and LLB from Gujarat University. He has more than two decades of work experience in diverse industries, including 10 years in Finance. He has worked with companies such as Electrotherm, Mannesmann Rexroth (currently known as Bosch Rexroth), Airtel & Axis Bank's asset division. (iii) Mrs. Purba Kalita, aged 42 years is the Executive Director &Head of Content & Communications Department of the Company. She is one of the promoters and Co-founders of our Company. She has completed M. Phil (Comparative Literature) from School of Languages, Gujarat University. She has more than 18 years of experience in content development. She was a journalist for 12 years, 9 years of which with The Times of India. In 2012, she moved to business communications and worked closely with the team that launched Flip kart Marketplace. She handles overall communication, content development, social media, campaigns & PR activity of the company. Key Note: 1 The Company has shown excellent growth in terms of Revenue and it went from 3.7 Lacs in FY16 to 1.13 Cr in FY18. 2. However, the Revenue growth has not been able to translate into bottom- line and company is posting losses continuously from the day of beginning. 3. The company has negative EPS and ROE. 4. The P/E is also negative. 5. The Pricing looks aggressive based on financial performance. There is no listed business which can be strictly compared with the company. GOOD to see issue withdrawn. such loss making company not deserve to get subscription anyway. multiple profit making and good sme are available in secondary market at good rates. Salebhai SME closing today… pathetic subscription so far.. The Subscription figures till date are not encouraging. Looks people are avoiding this issue. consider posting losses and negative P/E it is avoid for me. it would be better to take a call at some later stage post listing if the financial gets better. 1. The Bennett Coleman and Co. Ltd. (Times Group) has invested Rs. 15000 on 30th July 2016 in Salebhai and in return company has issued 1500 Equity Shares at Rs.10. 2. Then again on 18th Jan 2018, Bennett Coleman and Co. Ltd. (Times Group) had invested 6.50 Cr in Salebhai and in return company has issued 68421 Equity Shares at Rs.950. 3. Now just before the IPO, the company has issued 6,15,879 bonus shares to Bennett Coleman and Co. Ltd. (Times Group) on 30th March 2018. So ultimately, the Bennett Coleman and Co. Ltd. (Times Group) now has total shares 684310 Equity Shares at Rs.95 each. Now you can see how they have done pricing of IPO Rs.10 up from the average price of acquisition of Bennett Coleman and Co. Ltd. (Times Group). Salebhai is issuing 22,59,600 equity shares which are equivalent to 26.58% of the company’s equity. The company is in losses in the last three years, so it is hard to judge the valuation at which the company is coming. However, we came to know that the Salebhai is backed by The Times of India Group. If they able to successfully raise money then this would be the first B2C e-commerce company to raise money from an IPO. The company’s business requires high working capital for smooth day to day operations. To run the high working capital business company should able to produce sufficient cash flows else they have to seek other means of getting credit which may put pressure on the margins. As per financials, the company has negative cash flows from operations in last 2 years, so how they gonna manage their working capital is a big question to answer going forward. It is founded in 2015 and till date, the company is in losses. SOME OF THE ONLINE REVIEWS OF THE PRODUCTS SOLD ON SALEBHAI.COM WHICH I FOUND ON GOOGLE. Please don’t ever buy from this site. I made an order on 4th August 2017. More than one month passed, they didn’t ship my order and even after requesting for cancellation of my order they didn’t refund the money. Cheaters. They don’t post negative reviews on their site which I posted. I think they post positive reviews by themselves. India’s very worst online shopping because very bad customer service and this online shopping provide customer care number doesn’t work and customer care email doesn’t respond so this is online shopping? One month after still not dispatch order and some orders force to canceled. Bad experiences. Very Poor quality of product. Don’ t waste your money go to your near and buy sweets and else what you need. Website’s Product price is triple with the actual MRP price. Very Bad experience ordered for 800gm sweets(Bal Mithai) and received one box of the only 400gm and no one is picking the phone on the helpline for the refund of money. very bad service.